The landing page is a creative scenario that makes the visitor go to your WordPress website and land on a specific page, thus making an effective entry point to your website. 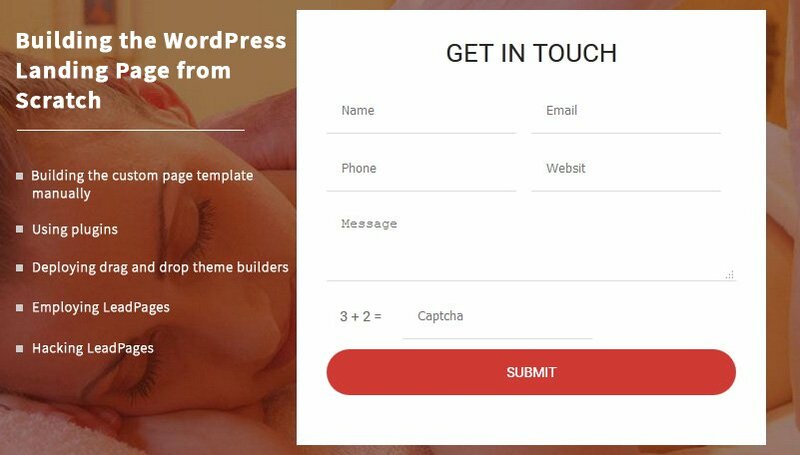 So, it can be said that the purpose of landing pages in WordPress is to catch hold of the visitors and convince them to perform a predefined action like clicking a specific link/button (such as for a social-media related activity like re-tweeting), subscribing to an email list, or purchasing a product. The ultimate goal here is to make conversions and also direct the new visitors to participate in some sort of marketing process on your WordPress site rather than letting them wander in unknown directions. What makes landing pages for WordPress special? You may be thinking that why is a landing page needed at all for giving direction and convincing visitors to perform specific actions? Why can’t this task be done from the homepage of the site itself or by using any other page built inside the WordPress platform? The answer to this is that the landing page will definitely give better results as compared to a standard homepage containing loads of information due to its single-purpose nature. What are the main features of a good WordPress landing page? While designing a WordPress landing page, is that they have a minimalistic design. As the main purpose of the landing page is to make the visitor take a specific action, every element on this page should only be reinforcing this goal. Generally, very little or none of the original design of the site needs to be retained. The main features of the minimalistic design of a good WordPress landing page include simple structure, minimal header, un-clickable logo, an absence of sidebars and footer. What are the different methods for building the WordPress landing page? While you can create the custom page template manually, you can also use other methods like plugins, drag and drop theme builders, LeadPages, and LeadPages hacking to build your WordPress landing page. You can create a custom page template for your theme and do whatever you wish inside this template. Building a WordPress landing page manually can help you make it infinitely more customizable as it provides you with the option of creating varied sizes of buttons and fonts. Moreover, designing customized landing pages is more economical as it saves the money spent on third-party service for supporting your page or to contract engineers for building it. Certain elements of landing pages, like buttons, testimonials, links, etc., need to stand out for presenting the visitor with an obvious point of action. These elements may be created manually either using CSS/HTML or in Photoshop. There is also a faster solution available called Shortcodes Ultimate. This plugin works using shortcodes and gives you access to many site elements, customization features, and also to stuff like buttons (3D, flat, different coloured, etc. ), accordions, and animations. The docs, such as examples and stuff, available are also very good. These days tools like plugins are available for making almost everything free, fast and easy, and this includes WordPress landing pages also. Plugins provide a quick option for creating WordPress landing pages and are the options to go for if you are not much worried about optimising the code at the moment. Though some plugins are available in the WordPress official directory, but they may be very limited in features, so you need to search for the free stuff available or make some kind of an in-plugin purchase to get the actual features you need. WordPress Landing Pages is a free and functional plugin that is easy to use and contains all the basic features needed to start building the landing pages in WordPress. 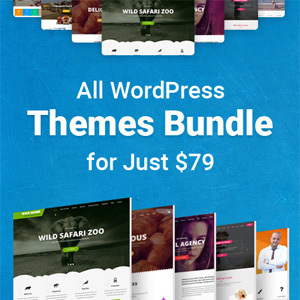 Though the purpose of creating landing pages on a WordPress site is to make it unique amongst all other pages, most WordPress themes are quite limited in terms of design. You may have experienced that every theme allows you to place content inside the main block of a page template but you are unable to do anything outside this area. So, by deploying the drag and drop builders that are integrated into some of the more developed themes, you can customize the design of your page according to your wish through a very easy to use interface. Thus, you should consider switching to a drag and drop builder when you need to create a handful of landing page templates for WordPress along with the main design. This will make your work a lot faster. LeadPages is an easy-to-use, paid tool for building high quality, user-friendly landing pages by integrating them with opt-in forms and many other things. You should go for this option when you want to invest your money instead of your time. Hacking LeadPages is nothing bad or illegal, and LeadPages is not against this method. Though it is not the most WordPress-optimized solution, it can be used as a quick fix that should be used only as a placeholder until a more manageable and functional solution can be integrated. LeadPages releases new templates as HTML downloads frequently on the official website. These can be used in various projects. However, these are pure HTML landing pages and not compatible with WordPress. So, they need to be made WordPress-compatible by making changes in the code. It needs to be clear that WordPress was not meant for supporting landing pages natively. However, with coding, plugins, theme builders, custom page templates, and external services like LeadPages working with landing pages on WordPress is no longer a forbidden task. Mike Kevin is the VP of Marketing of SquareRoot.ie, a web and mobile app development agency, providing mobile application solutions to companies all over the world. He likes to write and share about new changing digital technologies.